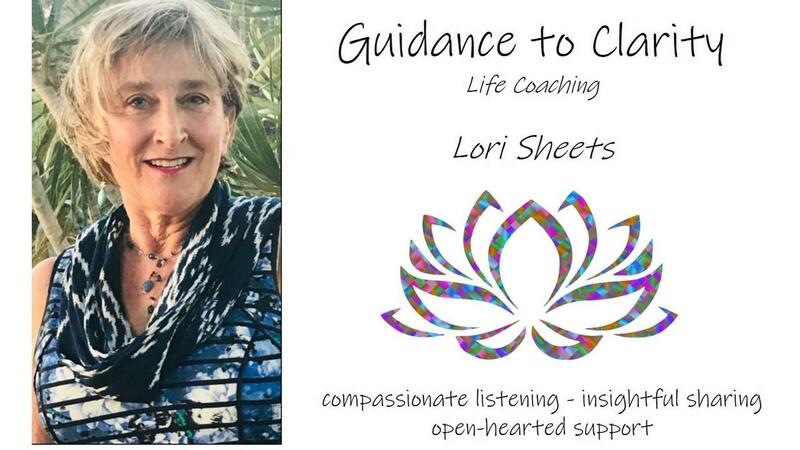 Lori Sheets - Get Clarity and Jump into the flow of life! I created Guidance to Clarity to support others as they become clear about what they wanted to bring into their life experience. This clarity allows the next steps to manifest and begins the feelings of calm and confidence. I believe that each person’s answers are within. The coaching questions I use reveal so much in gaining that self knowledge that translates into more productive living and satisfying relationships. I love to coach individual or groups who feel stuck. They want to move forward in their lives but they are not. I enjoy working with teens and women. "I wanted to work with a coach who is inspiring, truthful and encouraging. Lori enjoys helping people and is not the type of coach that has all the answers but she is skilled in helping you reveal your answers." Lori Sheets is an experienced coach, facilitator and speaker. Known for using her wit and love of humor to create the perfect climate for learning and growing. She inspires others in a style that is both humble and powerful. As a leader in her spiritualWil community, she has been able to successfully mesh spiritual insights with tools for successful living. Lori has committed her life to helping others see their brilliance and sharing the tools to discover it.